Call 828-388-7725 to schedule your first appointment. Do you think you may be suffering from some level of hearing loss? If so, schedule an appointment with an established hearing aid center. Not only will you be on the road to improved hearing, but you may also dramatically improve your quality of life when you turn to Miracle-Ear® for high-quality hearing aids in Franklin, NC. We offer a wide range of hearing solutions that are augmented with industry-leading technology, such as our new GENIUS™ Technology. GENIUS™ Technology will allow you to move freely in any setting and hear more clearly without wind noise or other miscellaneous sounds. We’ll provide you with a 30-day trial, risk-free* so you can try out your hearing aids in the real world before making a commitment. Most of our products come with a three-year warranty** as well. When you turn to us for your hearing test in the Franklin area, our Hearing Care Specialists will help you find the best hearing solution for your individual needs. Our hearing aid center proudly provides free hearing tests†, hearing aid fittings, and hearing aid repairs. Call us today to discover and experience the Miracle-Ear advantage and to set up your free hearing test. Ashley Travers started with Miracle-Ear in November of 2017. She has a vast knowledge of customer service, sales, office management and working in diverse communities. Graduating from University of North Carolina at Charlotte, Ashley earned a bachelor's degree in anthropology with a concentration in biology. She enjoys working at Miracle-Ear and believes it is a privilege to be able to help people communicate with their loved ones, and that every patient should be treated like family. Ashley has one child and loves to spend time exploring the Blue Ridge Mountains and all that Western North Carolina has to offer. She loves sharing her enthusiasm for the outdoors with others and learning about what others have a passion for. 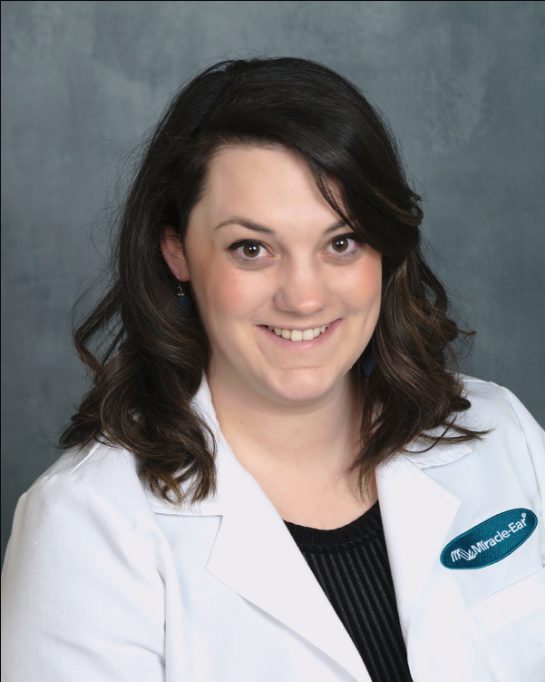 Ashley is excited to meet you at the Miracle-Ear office in Franklin to help you begin your journey to better hearing.